What emotions do you experience and what thoughts go through your head when you hear the word “risk?” Responses to risk vary widely. Some people are risk-seekers, and the idea of taking a risk fills them with excitement. These people will dive right into risky activities like investing without a second thought. On the other end of the spectrum are people who abhor risk. Risk-avoidant personalities will do anything in their power to avoid ever making a leap of faith or doing anything which could entail a possible negative outcome. The idea of risk fills these types of people with fear. There are a lot of areas in the middle where personality profiles can fall, and many traders are somewhere in this middle ground rather than on one extreme end of the spectrum or the other. The majority still lean either toward risk or away, however. Both of the extreme attitudes toward risk are likely to lead to unhealthy decision making and unpleasant outcomes. Some of the attitudes in the middle may as well, being based on one of these extremes. But there are moderate, healthy ways of looking at and interacting with risk. Healthy attitudes are key for binary options online trading success. Binary options is a , and there is no getting around that fact. A lot of brokers promote binary options online as if there is no substantial risk. The exact phrasing that is typically used is, “Your risk is fixed.” On some level, this is true. Your risk for each trade is determined in advance, and you can easily calculate it. Though there is no fixed amount of risk overall, since you can invest (and lose) as much money as you want. Companies that try to promote binary options online as a risk-free way to make a lot of money fast are often unscrupulous. The majority of these claims are made by binary options online affiliates trying to make a quick sale. Other binary options online companies actually have a prominent risk warning on their sites, which is commendable. Usually these companies state somewhere in their warning something like, “Trading binary options online is a speculative activity which involves a high degree of risk and which can result in you losing your entire investment.” The warnings go on to state that that you can lessen your risk exposure if you trade with intelligent risk management procedures and knowledge of the market. Earlier I mentioned that extreme attitudes toward risk are unhelpful. Why? Risk-averse behavior. The problem with risk-averse behavior is fairly obvious. Anyone who actually is risk averse knows just how much this attitude can hold a person back. If you shy away in the face of any risk, and you refuse to take the leap to make your life better, you are likely going to go nowhere in life. You may not take a fall, but you are not going to rise either. Risk-seeking behavior. The problem with this type of behavior may not be immediately obvious to you if you are risk averse. You might think, “It would be great if I were actually excited by risk!” The trouble with being a risk-seeker however is that you are emotionally attached to taking risks. The idea of winning and the idea of losing are both compelling to you. You will take no steps to mitigate your risk, because you are more excited by the thrill than you are by the prospect of winning. Riskseekers run out into the field of battle without a shield, and usually end up shot full of holes. Another thing can be said about both these types of behavior (in particular risk-averse behavior). And that is that while you are taking an unhealthy attitude toward risk, you are actually exposing yourself to it unconsciously. For the sake of argument, let’s say you are a risk-averse person with a moderate income, and that in theory you have enough money to invest. You may avoid risking any of that money, because you are scared to lose it. But meanwhile, real life is catching up with you. Maybe your boss comes into the office in a bad mood one day because his coffee was bitter. He fires you, and you find yourself unemployed, losing money hand over fist. Risk and misfortune are not intrinsically tied together. Yes, they often go hand in hand. Risk after all means that misfortune is a possible outcome. But just because you are exposing yourself to greater risk than you would be if you did nothing does not mean you will fail. And if you do not take risks, that does not mean you will not suffer misfortunes. In fact, you are probably doing nothing to prevent them from taking their full toll on your life. Why? Because when you are risk averse, just as you are avoiding the possibility of failure, you are also avoiding the possibility of success. Just by thinking through the information above, you should already have a healthier concept of risk. Risk is not just a fact of binary options online trading, but of everyday life. Each of us risks by getting up in the morning. Many misfortunes are in fact completely unpredictable and have nothing to do with our own personal choices. Your job is to become a risktaker without becoming a riskseeker. Realize that risk is unavoidable and a part of life. Hiding in a corner will not make it go away. You can still lose everything even if you personally risk nothing, because you cannot control the whims of fate. Understand that risk is a double-edged sword. When you take a risk, you invite the possibility of failure, but you also invite the possibility of success. Those who are unwilling to take reasonable, calculated risks are choosing not to pursue success. In a way, this is actually a choice to give up control. If you do not choose your own fate, it will choose you. Risk is not a toy or a game. If you consider risk to be “fun,” you may want to think again. This is your life you are playing with. You should not deliberately increase your risk exposure beyond what you have to in order to pursue success. Instead, you should seek to mitigate unnecessary risks and take only the risks you have to. Most of the binary options online traders who have gone broke while trading could have avoided it had they simply not plunged so willingly and recklessly into trading. If they had practiced more before going live, and stuck to a system, they would probably still be in the game today. Practice makes perfect. You put yourself at much less risk if you practice trading with a demo account before you trade for real. Doing so allows you to learn without taking unnecessary risks. Make your mistakes in a safe environment, and then move onto trading for real when you are ready. Another benefit of doing this is that it also helps you develop the confidence you need to deal with risk rationally when real money is on the line. Once you know you are capable of success, it becomes much easier to create success! Risk can be mitigated. 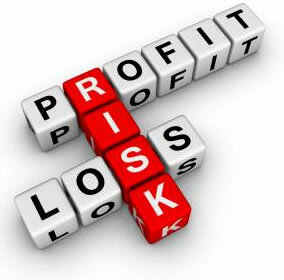 With risk management, a trader can reduce his or her exposure to risk while trading binary options online. By cutting out unnecessary risks, you can take only the risks you have to in order to give yourself the best chance at success. And that is ultimately what risktaking is really about, and why risk can be your friend if you cultivate a healthy relationship with it. Your first thought at any time in your life should not be whether you are avoiding risk or embracing it. It should be to find the path which gives you the best chance of succeeding. Sometimes that path will take you away from risk, but other times it will take you toward it. As an investor, you will likely be making decisions in both directions on a regular basis. Risk can be your friend, as long as you keep it within a smart context.